Somewhat erroneously, seven classes on pastry were followed by a section on nutrition. Or perhaps this was the curriculum writers’ not so subtle way of telling us that after almost two months of eating large quantities of meats in rich sauces, tons of butter and salt, and a week and half of sugar, it might be time to start watching we eat again. The curriculum covered the very basics of nutrition and how fats, carbohydrates, and proteins work in your diet. I’ll distill it further for you and summarize what I’m sure most of you already know: Control your portion sizes. Eat saturated fats in moderation, and avoid trans fats when possible. Whole grains have more fiber and nutrients, so choose those over processed as often as you can. Fruits and vegetables have lots of good stuff you should be eating more of. Exercise. I find nutrition incredibly interesting, but I can see how it can get confusing or how it can seem very dry. 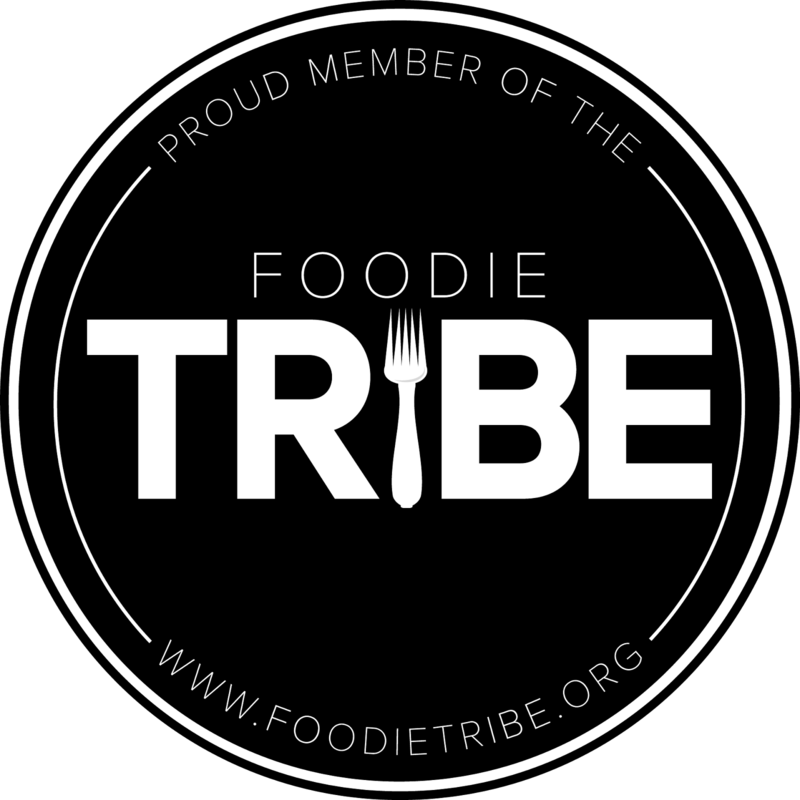 To simply things even further, I like Michael Pollan’s rule of thumb: “Eat food. Not too much. Mostly plants.” Short and simple. School has ensured that rules two and three are pretty much out for the time being, but at least most of what I eat these days is real food and not super processed. By some miracle, I actually have not really gained any weight. I think it might be due the fact that I’m now on my feet and moving non-stop from the moment I wake up until I get back home in the afternoon or evening. I do, however, really miss the mental clarity imparted by my long runs in the park and I think I really need to bring the veggies back into my diet. The dishes we made during this section did provide some veggie inspiration. They were tasty and didn’t really make you think you were eating health food. In fact, both dishes had a fried component, but they were balanced and healthful overall. 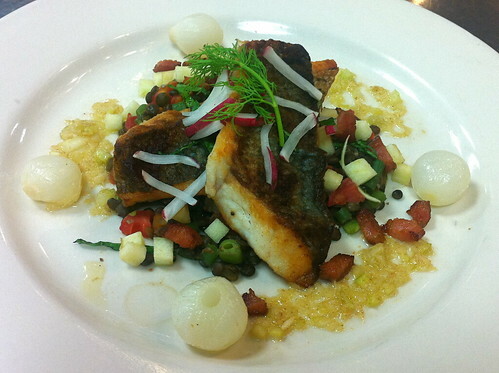 For the first dish, we simply pan-fried lightly floured fish and served it over a bed of lentils with veggies. For the second, we paired crispy falafel with roasted spaghetti squash mixed with a chunky tomato sauce and salad – tasty, but I do think the falafel could have used some tahini or hummus. 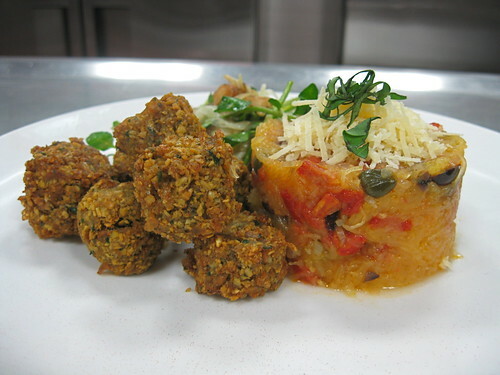 To pass on the inspiration, I’m including the recipe we used for the spaghetti squash below. You can also check out my earliest adventures with making falafel here. Falafel w. roasted spaghetti Squash with tomato-caper sauce and artichoke heart, fennel, watercress salad with grapefruit citronette. 1. Cut the spaghetti squash in half lengthwise. Scoop out the seeds and season the flesh. 2. Put the squash cut side down on a sheet tray lined with lightly oiled foil. 4. Sweat the shallots in olive oil, then add the tomatoes. 5. When the tomatoes have rendered most of their liquid, add capers, olives, and anchovy. Season to taste. 6. When the squash is cooked, remove from oven and scoop the flesh from skin. Toss the skin and allow flesh to steam for several minutes. Season the squash with salt and pepper, toss with some of the sauce and garnish with chiffoande of basil and sundried tomatoes. For deeper reading on eating, making smart food choices, and the business of food in America, you might check out these books by Michael Pollan. Cut and Burn Count: 1 Cut. Knife sliced right through it sheath and into my thumb.